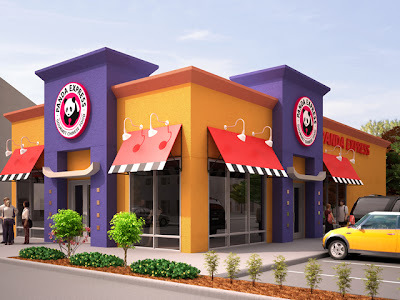 Panda Express will soon open a freestadning location in an outparcel of a Michael's anchored shopping center in Tucker. The new restaurant will open in space previously (under) utilized as parking. Panda Express, originally found mostly in mall food courts, has opened a number of free standing or end cap eateries in recent years. Another free standing location opened a few years ago in East Cobb near the intersection of Johnson Ferry and Roswell Roads. Panda Express also added locations within the Prado off Roswell Road in Sandy Springs, and on Pleasant Hill Road, near Gwinnett Place Mall. The Rosemead, California-based restaurant has has just one remaining mall-based location in the area, off Sugarloaf Parkway within the Discover Mills in Lawrenceville. Its parent company Panda Restaurant Group also operates the Hibachi-San and Panda Inn restaurant concepts. Near the upcoming Panda Express, Northlake Mall has fallen on hard times in recent years and as a result, many national retailers have left the mall. This list includes such retailers as Gap and Old Navy as well as restaurants like Arby's and Great Wraps. The mall also witnessed the downfall of Cresent Moon, a local eatery that suffered not only because of its location but from internal issues as well. B. Dalton, Waldenbooks, Mori Luggage & Gifts, Hallmark and The Disney store have all also closed in the mall over the years, among others. There is an existing Moe's Southwest Grill in the Michael's shopping center, and it has struggled for years. It will interesting to how they fare in the wake of the Chipotle opening across the street. Oddly enough, the Michael's is a actually a relocation itself, from nearby Northlake Festival shopping center. Michael's moved to its current space after the former tenant, Drug Emporium, closed in the early 2000s. For the record, its center, and the Briarcliff Village shopping center across the street, are both managed by Regency Centers. Moe's is a former bank and I'm told the franchisee devoted a great deal of money to converting from bank to restaurant, more than he has planned, and off the bat was battling to keep the restaurant open. Perhaps the Panda Express will bring more traffic to the center. In nearby Northlake Festival though, Bally Total Fitness closed last month and Fuddrucker's remains empty in a prominent out parcel in the front of the center. On the bright side, Darden's Red Lobster restaurant kitty corner from the upcoming Panda Express just got a makeover that included a refreshed exterior and new signage. Also, in other Panda Express news, founders Andrew & Peggy Cherng have entered into a partnership with Procter & Gamble to open as many as 200 Tide Dry Cleaners. Their business, Panda Dry Cleaning, has the exclusive franchise rights for the state of California, although their initial store opened in Henderson, Nevada, a suburb of Las Vegas. The Cherngs are hoping to capitalize on their restaurant success and as they did with Panda Express, turn a segmented market, with many small players, into a business with a national brand, Tide Dry Cleaning. The brand was launched in 2010, and in addition to the new Henderson location, has another six units open between Kansas and Ohio. Plans call for the Cherngs to open as many as five additional locations this year, likely in California. The $9.2-billion dollar dry-cleaning industry is made up of nearly 39,000 establishments across the country, according to the research group IBISWorld. Ohio-based Martinizing has been in the dry cleaning business for over 60 years and with locations in Atlanta and across the country, it's the largest, most well known chain, but still not a big player in the grand scheme of things. Hollywood,Florida-based OXXO has locations from Boca Raton to Short Hills, New Jersey, and even one in Buckhead on Peachtree, but is still small at only 30 locations or so. This is the not the first time Procter & Gamble has sought to expand its portfolio by extending its brands. In February 2009, Procter & Gamble purchased Atlanta-based Carnett's Car Wash, a chain of 13 locations. In July, they re-branded the locations as Mr. Clean Car Wash & Oil Change. Currently the chain operates 11 of the original 13 locations as Mr. Clean in Georgia as well as a pair of locations in Cincinnati, Ohio and locations in Frisco & Round Rock, Texas. Both Tide and Mr. Clean are "mature" brands, and as such, have little room for growth. This extension of each line into new businesses, allows for Procter & Gamble to capitalize on each name's brand equity and for the brands to generate additional revenue. 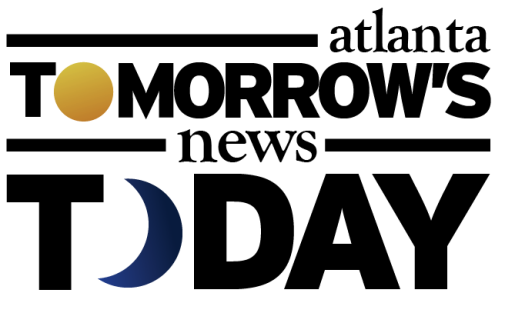 Agile Pursuits Franchising Inc. is a wholly owned subsidiary of P&G and handles the franchising for both of the businesses. 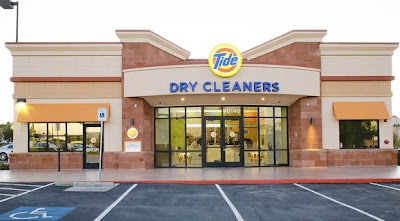 I'm told Tide Dry Cleaners is scouting the Atlanta market and a Google search shows they are currently seeking to staff a location that will open soon on Holcomb Bridge. The Northlake Panda Express is scheduled to open in late April. Do you live in the area and are pleased with the new development? Do you dislike Panda Express and favor other fast casual options? Do you think Panda Express should stick to foodservice? Please share your thoughts in the comment section below. I live nearby and couldn't be less enthused! Very nice article on the Tucker / Northlake development scene. I live close by and will probably never eat there because I'm not a huge Panda Express fan, but it will be nice to have some life back in the area. When you say "outparcel" of the Michaels, am I correct in assuming you mean that Panda Express is going to build their new restaurant from the ground up in the parking lot or are they taking over an existing space? I'm trying to picture the Michael's shopping center but can't think of an outparcel building there besides the 24 Hr emergency dentist / emissions check next door. It really is a shame about Northlake Mall though. Once North Dekalb got scary I remember spending all my weekends in middle / early high school at Northlake with my friends. I haven't been to that mall in probably 7-8 years though because there are just no decent stores anymore. Yes, this will be a new, from the ground up outparcel in the parking lot of Michael's. Fencing went up recently that shows the approximate outline of the space they will occupy. Outparcels have to be zoned--variance can be applied for. No outparcel zoned there.--no variance to zoning applied for. The intersection is a total disaster and ingree/egress is locted poorly. Parking decrease will violate code--again a variance must be requested and notice must be posted for hearings. The Northlake Commuity Alliance is suppose to get notice from the county on development to ensure meets cooridor standards under overlay district. NCA knows nothing. No comaprison to the proactivity of Chick Fil-A. Work is definately underway. I also noticed it the other day and wondered what was going on. At that time it wasn't obvious that something was going to be built. I am happy about the newer things popping up in that area. I hate to hear that Moe's is struggling. I personally prefer it to Chiptole. Hope it makes it. The Mall!! Oh my. Suffice it to say that Simon is not a good neighbor. Of course you realize that Simon owns Lenox & Phipps as well as Northlake. They are never going to allow Northlake to compete with those two. Having that mall redone would work wonders for this neighborhood. Right now it is just an eyesore. A few years ago there was a neighborhood push to get Simon to do something with the mall. And so they planned "movie night" in the food court. :( We seriously need to put pressure on Simon. If they aren't going to make something nice in our neighborhood they need to get the @#$% out and let someone else do it. I live nearby and was trying to figure out what could be going in there. I figured it was some sort of fast food because that's all we ever get and something that would be nice to have, like a Walgreens or CVS, would not fit in the location that they are tearing up in front of Michael's. I'm not really enthused about Panda Express, but I guess it could worse. I question the "under utilized parking" thing though. Have they ever been in that parking lot on the weekend? Parking is RIDICULOUS. I love Panda Express and on occasion drive to the Peachtree Parkway location so I am happy to hear this news (though the parking around Michael's and Blue Ribbon Grill is so bad I can't imagine where they are going to put it). Was glad to see Chipotle had opened in Northlake also. Northlake Mall is now what North Dekalb used to be. I avoid it whenever possible. answer to the parking question will be when you see people parking in Briarcliff Village and walking to Michaels. The author here must be taking talking points from Regency on the "underutilized" bit. Well--if Moe's wasn't having problems before, their landlord just screwed them by putting Chpotle direct Tex Mex compeitir on its other property. Disgraceful business tactic.  If I'm Moes, I either want a 25% lower rent or I'm out next opportunity. The "other" Tucker might have been a more successful location than "this" Tucker. I want the business in Mother Tucker. I totally agree with you on the Moe's and Chipotle. For Regency to allow for Chipotle to open across the street in another center it also owns, seems a little low considering Moe's has struggled for as long as it has. This can't be welcome news. Speaking of walking in the area. I have been walking up to that area recently when I had little errands to do. And certainly the sidewalks have been improved. But there still needs to be sidewalk work done. For one thing, what about that little stretch on Briarcliff from Henderson Mill up to LaVista. No sidewalk on either side!! What's up with that? Also would be nice if there were sidewalks on BOTH sides of Briarcliff instead of just one side going toward Shallowford Rd. Any chances of additional sidewalk work in the near future? "UNDER-utilized" parking in this shopping center??? Are you on drugs? I eat at the Blue Ribbon Grill as often as I can, and even before the construction started, I almost always had trouble finding a place to park that wasn't on the outer fringe of the lot. You must go there at 3am on Monday morning or something. Speaking of the downfall of Northlake, my wife said that she heard that there is rumor that at least one if not two of the current anchor stores at Northlake may be closing. I think that would be the final nail in the coffin. I love Panda Express and on occasion drive to the Peachtree Parkway location so I am happy to hear this news.